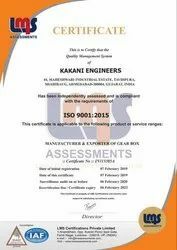 Established in the year 1974, we, Kakani Engineers, are one of the trusted business organizations engaged in manufacturing and exporting of Shaft Mounted Gearbox, Worm Reduction Gearbox, Worm Gearbox, Helical Gears, Reduction Gearbox, Conveyor Gearbox, Worm Gear and many more. 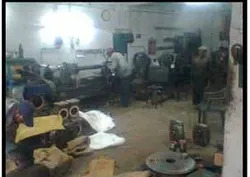 We are also Service Provider and provide Gear Box Repairing Services. The products are appreciated for their ease of usage and reliability by the clients. High qualitative, these are offered under the brand name of Jaycon. Owing to their durability, these find huge demand in textile processing machinery, plastic machinery and chemical & road construction plants. The well-structured distribution channel helps to deliver the range within the specified time frame. With relentless and diligent efforts, we have acquired a rich client base across the nation. Founded by Mr. Jayantibhai Panchal, currently our organization is headed by our mentors, ‘Mr. Ashokbhai J. Panchal and Mr. Nikhilbhai A. Panchal’. They have industry experience of many years and possess rich expertise in this domain. With their able supervision and constant guidance, we have emerged as a reliable business organization. Late Jayantilal J. Panchal- Founder of the company had more than 50 years of experience working in the manufacturing industries. 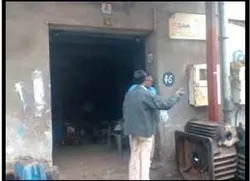 The company has completed a long journey of 4 decades under his management from the small start-up factory to the high-tech manufacturing plant. At the age of 85 years, he passed away leaving us with his vision to bring the brand JAYCON to the huge success in the World of Gear industries at global level. Mr. Ashokbhai J. Panchal- Chairperson of the company who had clear vision for establishing the JAYCON brand to serve various industry verticals by providing innovative and state-of-the art technology products. He has around 30 years of experience in managing the company; and he is now taking care of the Production and Maintenance department of the company. Mr. Nikhilbhai A. Panchal- CEO of the company and young entrepreneur is committed to bring this glorious journey to the International level. His extensive efforts resulted into huge success and the company has started spreading its foot-prints over many countries all over the globe. He is taking care of Marketing department of the company. "Establish our presence to the global market by delivering the innovative and cutting edge technology products to capture the highest satisfaction of our customers." "To create value added products that help our customers to achieve highest efficiency, while striving to make them the leaders in their respective industries."